After our very warm welcome to Bora Bora, we were given a coconut drink for refreshments, and our bags were whisked away. We were given ample time to take in the unbelievable surroundings. Then the staff briefed us about the main features of the private island, the bungalows overwater, and how to request for the shuttle boat to the main island, where breakfast is, etc. 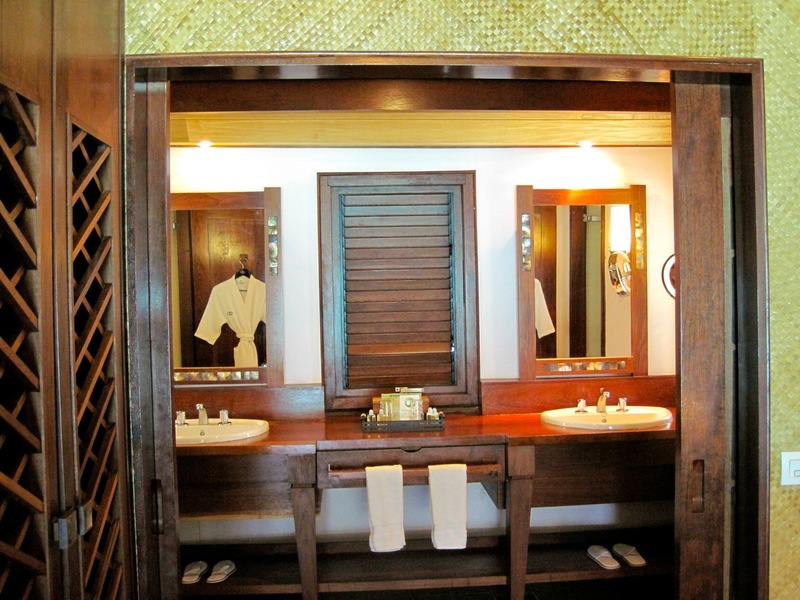 This is the room layout of the Sofitel Bora Bora Private Island. 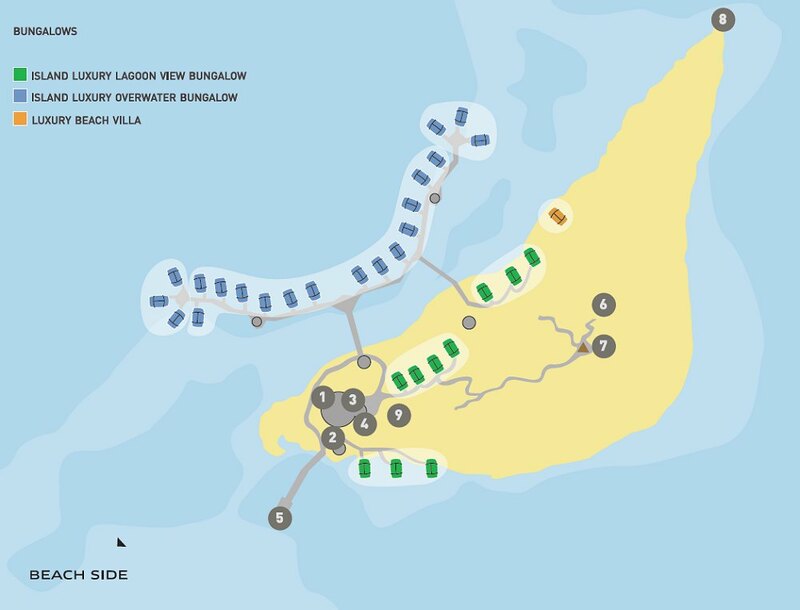 I wanted to get the 2 Overwater Bungalow Rooms on either ends (the tip most) to get the best of both views (mountain and sea) and also so it feels more secluded. We were ushered into the room and I immediately knew I was going to enjoy our home for the next 4 days. There’s air conditioning, but again like the rooms at the Intercontinental Moorea, we never turned them on. This is the point of staying in a room where you get the cleanest, freshest ocean breeze. We slept like a baby all those nights. Nil bug bites with the windows open! his and hers sink is a real treat. Roomy dressing area too. And to my delight, I was given a handmade wrap (a Pareo) as a gift. Zombie got a men’s Sofitel shirt. And here you go, the balcony. An ideal venue to have breakfast in room (they deliver breakfast via a canoe). We always went to the buffet to have breakfast though. 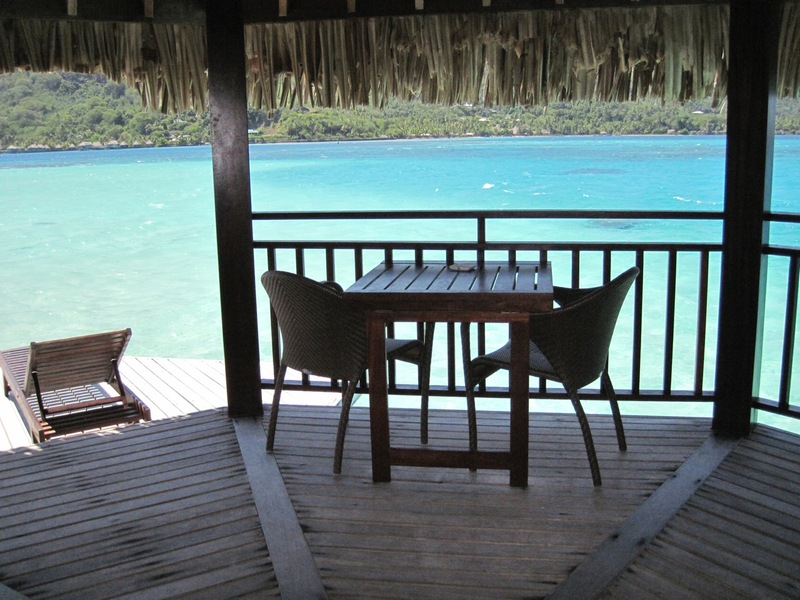 the “balcony” you get in an overwater bungalow! the advantage of getting an overwater bungalow on the edge: no neighbors! 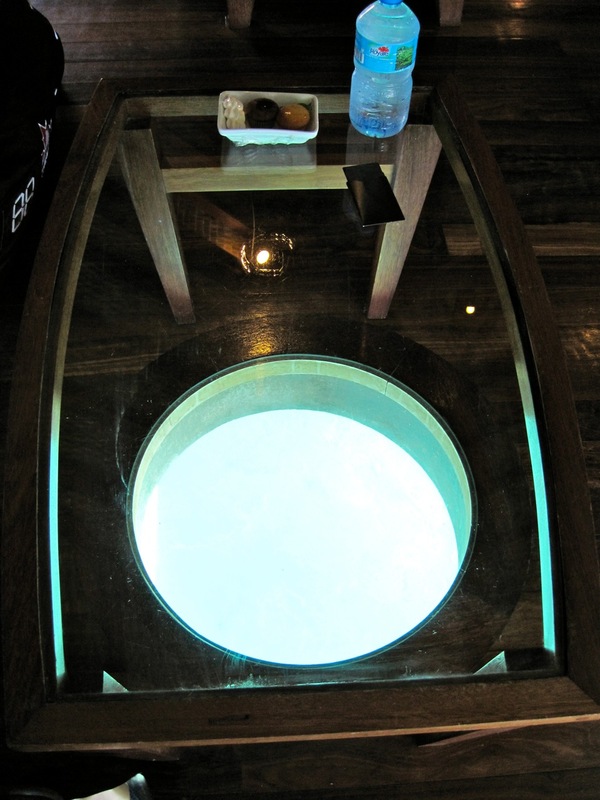 The room also had a glass cut out on the floor beneath the coffee table. There is a separate light for that and at night it’s just lovely to see garfish gathering underneath. The Sofitel Bora Bora Private Island definitely lived up to our expectations. Exceeded it, in fact. As I’d done a lot of research before heading to Bora Bora, I knew what to expect of the property. 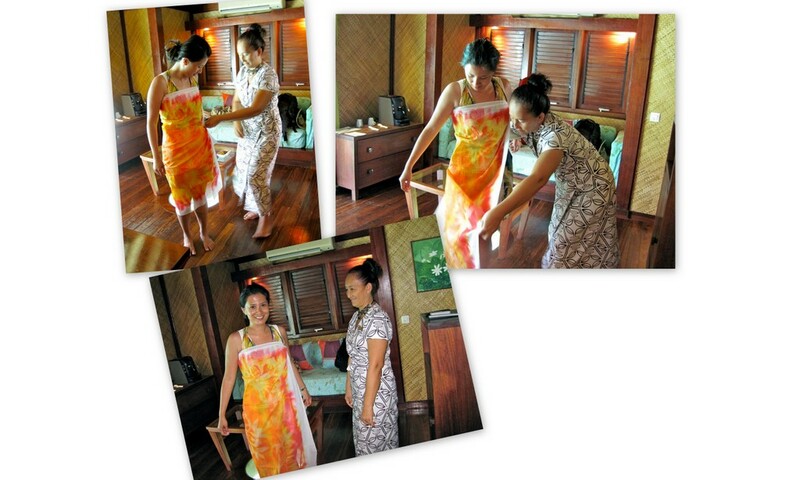 What we didn’t expect: The exceptional service we got. Again proof that all reviews have to be taken with a grain of salt. Touchdown in Tahiti (where we ended up in the local Tahitian newspaper)! Welcome to Bora Bora! 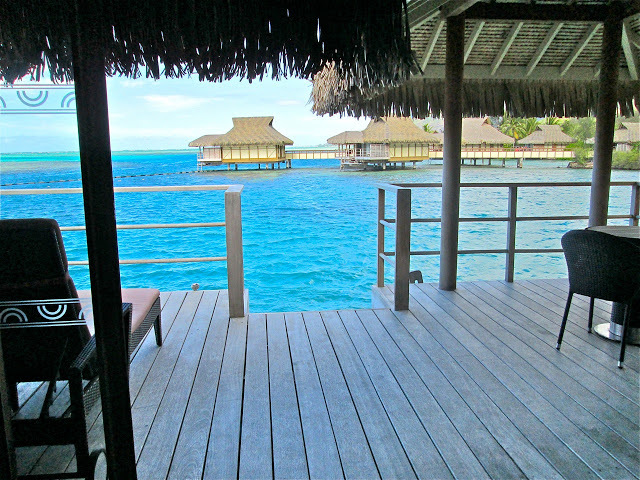 (Sofitel Private Island) The Joys of Being in an Overwater Bungalow: Intercontinental Moorea Resort & Spa Jumping Off Overwater Bungalows: A Holy Smithereens tradition! Eating and Dining in Tahiti (Bora-Bora & Moorea), French Polynesia Review: Intercontinental Tahiti Resort Intercontinental Moorea Resort & Spa: How to have an Awesome time Staying at your Beach Bungalow! That place looks awesome. I have always wanted to stay at one of those over water rooms. Do you by chance know the room numbers on the OWBs? The resort map is nice but room numbers would be nicer. Thanks. Hi Don I dont have a list of the room numbers but I believe ours was either 127 or 129 , hope that helps! Thanks. 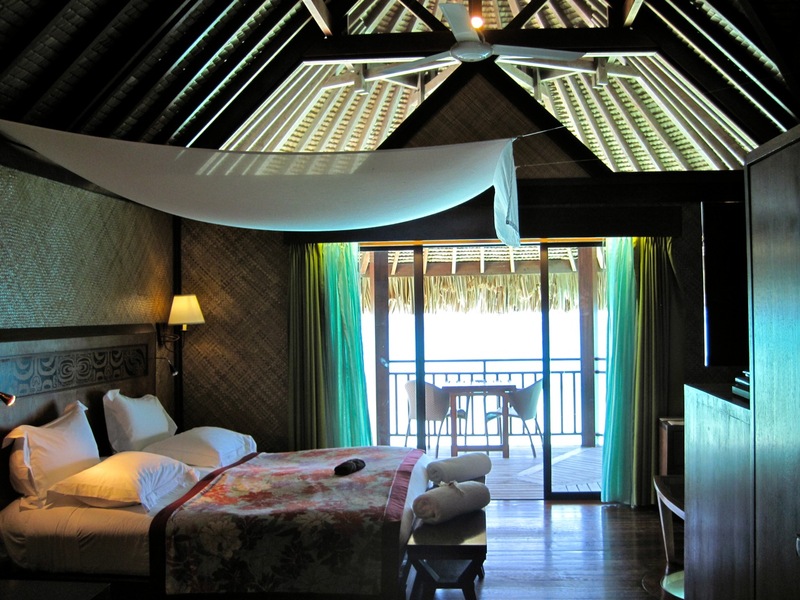 We’re planning on staying at the Sofitel Motu on Bora Bora sometime in 2015. We had planned for next year but work got in the way. I guess when we finally do go we’ll try to get an end bungalow. I really like your write-ups and Tahiti series. One thing you didn’t dwell on was where you ate. Did you eat at the resort the whole time or did you go out and about? Either way, how was the food? Thanks and I’m looking forward to your future Tahiti installments. Not to miss anything I went ahead and subscribed to your blog. Safe traveling. I meant to ask you what brand of mask and snorkel do you use? All we have around here is cheap stuff which I do not want. Thanks. Hi Don, for this particular trip we just used what the resort had for hire. Which was pretty crappy as I had to change masks a number of times and it kept on leaking when we went diving. For my most recent Philippine trip we brought our own. Mine is a brand called “Wave Zone” which is not really that good if youre a serious diver/snorkeller. But its still much better than rented ones. I haven’t had time to look around good long term snorkel gear yet. I used this wave zone brand for the entire trip and it was pretty good however towards the end I can see beginnings of the seal getting that “bacon-like” fraying. So I will definitely get a new one on my next beach/dive trip. Thanks. I’m going to visit a couple dive shops and see what they have. We had very good masks a few years ago but we gave them up because we quit snorkeling. In hind site, I wish I had kept them.